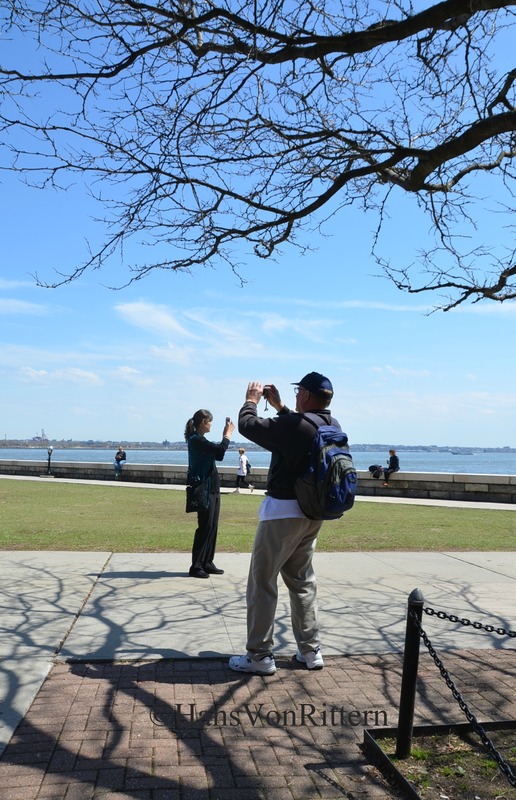 Photo of the day: DIFFERENT PERSPECTIVES – It’s all in what you see…this moment caught yesterday on Ellis Island. This entry was posted on May 3, 2014 by newyorkcityinthewitofaneye. It was filed under Uncategorized and was tagged with different perspectives on photo, different perspectives on photographing, Ellis Island, Hans Von Rittern, Manhattan, New York City, New York harbor views, New York photo, people taking pictures, Photo of the day, photography, picture of people taking pictures, Statue of Liberty, tourists in New York.